© Absolute Misdemeanor™®: What Is Chargeable Income? First of all, you need to know what is considered income by Lembaga Hasil Dalam Negeri (LHDN). Is it just the monthly salary you get from your employer, or does it also include other types of income? Perquisites, which includes bill claims, company credit cards, loans from company, sponsored club memberships, sponsored child tuition fee, personal driver and any benefits offered by your employer that could be converted into cash. 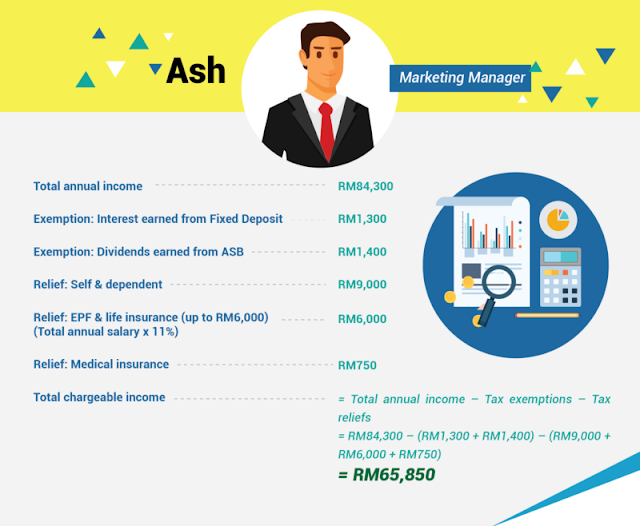 Now that you have your total annual income, you need to find out what your chargeable income is. Chargeable income, also known as taxable income, is your total annual income minus all the tax exemptions and tax reliefs you are entitled for.